What if I don’t have my drivers license with me and I have every other document such as my passport, and I really need to go to juarez in my car for only two weeks for my kids interview? Do I get a fine or some kind of determining? The Passport is needed for providing proof of your US citizenship upon your return to the U.S. It also provides proof of your citizenship to the Mexican authorities, but does not act as a replacement for your Drivers License while driving in Mexico. Driving a car, any car, whether US or a Mexican Registered car without a valid Drivers License could subject you to a possible fine. Just like in the US. Mexican border authorities generally do not request or require you to show a Drivers license in the Free Zone, such as Juarez. However, as previously mentioned, if you are pulled over for a traffic citation, accident, etc. and you don’t have a Valid drivers license, then you will be subject to whatever fines are applicable. Also, if you do not have a valid drivers license you would be excluded from using a Mexico Tourist Automobile insurance policy, which is what we do, and is a very important necessity if you are involved in an accident. I don’t know your circumstances, but try to get a valid drivers license regardless if your travels are the US or Mexico. Hope this helps. 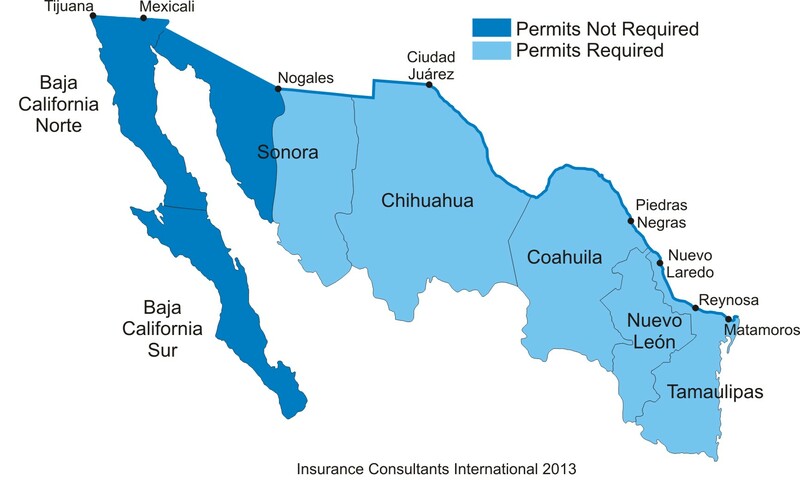 So I can drive across to Juarez without a permit so as long I don’t go past the FreeZone? 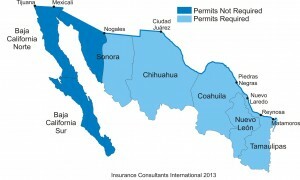 Do I need to carry Mexican insurance? What if the Car I’ll be driving is under my wife’s name but she will not make the travel with me? Thanks for advice! Correct. Everyday there are many thousands of vehicles that cross each border every day. The issue for the permit generally does not come into play until you at past the frontera or free zone. This is not a guarantee however, but fairly certain. Hope this helps. 1. Valid US Drivers License. However, if you are driving and do not posses that, then it could jeopardize the coverage. FYI, the cost for 3rd party liability only, which is all you have to have while driving in Mexico, (or the US for that matter) for two weeks is $74.95 and for a year is only $192.79.